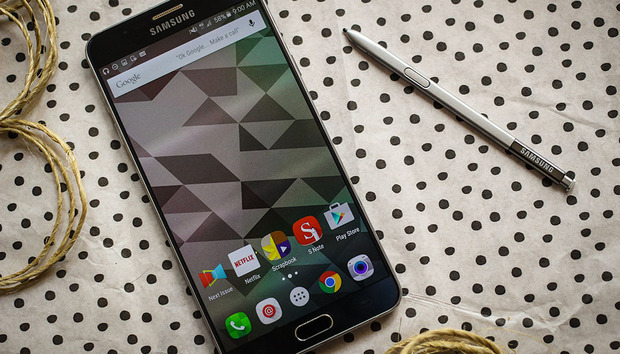 Samsung has made a below-the-radar change to its Galaxy Note 5 that should keep the S Pen from getting stuck. The company confirmed the hardware change to The Verge, which is designed to fix the issue where inserting the S Pen backwards could get the pen stuck. The force required to dislodge the pen usually then breaks the clicking mechanism. As alluded to in the quote, Samsung’s official stance until this time was to refer everyone to the instruction manual, which warns of this hazard. If you’re currently a Note 5 owner, let this serve as another reminder to be doubly sure you’re putting the pen back the right way. Why this matters: Samsung clearly decided this was enough of a problem to redesign the components. It’s easy to say that one should expect problems if you use a product incorrectly, but inserting the S Pen in backwards is rather easy to do if you quickly take down a note and need to put the pen away. This is a good fix, though it probably won’t be much solace if you’ve already damaged your phone.